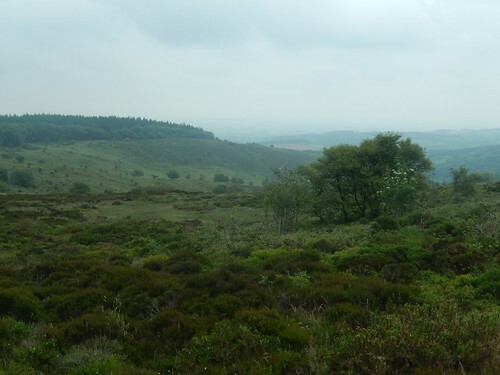 I sit down to write this, twenty-four hours after leading the group on this very walk in the southern half of the Quantock Hills. 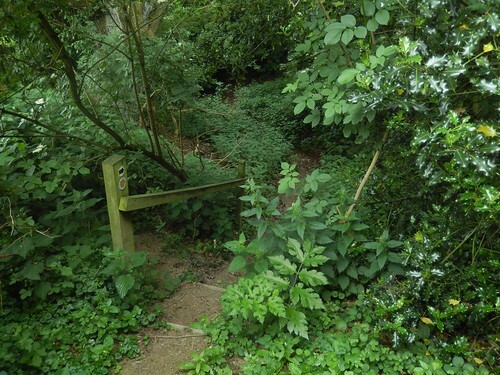 It was only eight-days ago that I finalised this route, having spent the previous months pre-walking, only to arrive at broken stiles and horridly overgrown footpaths. In these posts, I’ll document my finalised route. For the first half of this walk, I decided to deviate entirely from my intended route. 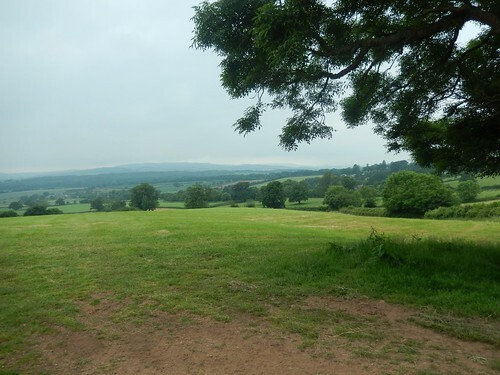 I was happy with with it, faithful that it would remain accessible on the day and, quite frankly, I didn’t fancy walking it for a third time this year, as I would be following those same steps in seven-days’ time. 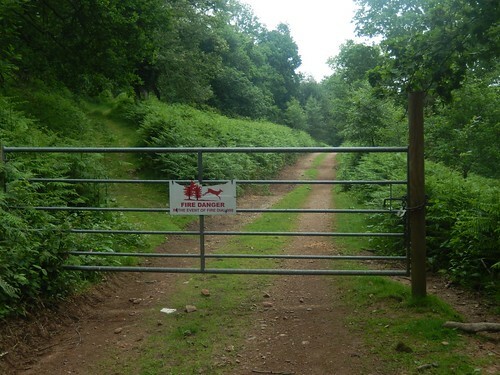 So, I followed the Quantock Greenway further than usual; familiarising myself with paths I’d first encountered in 2014. 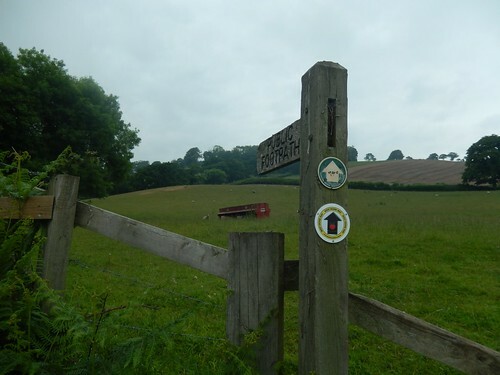 Approaching the village of Cothelstone, I left the road (which the Greenway does follow) to join a series of field paths running parallel but devoid of any cars. 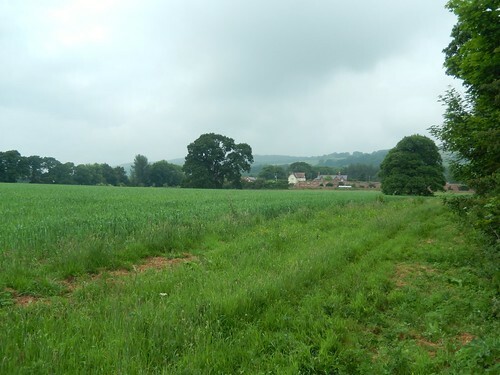 It was here, in Toulton, that I joined the West Dean Way, which is another circular route, beginning and ending in Taunton. All was going well and the route was as easy to follow as I had found the last time I passed through here (possibly 2015). It’s entirely possible that I could lead another walk here next year, where we walked on a lower path through the villages before climbing to the heights of the hills on our eastward return to the cars. In the penultimate field ahead of Cothelstone Farm, I couldn’t clearly the see the way ahead and, it was only as I arrived at the field corner that I realised the way through the hedge was terrible overgrown. Nettles. They may not be brambles but they leave a sting that’ll stay with you beyond the end of your day. My efforts to hack through with my walking pole were futile. Each branch was too long and flexible. Next time, I’ll strap scaffold boards to my shoes. 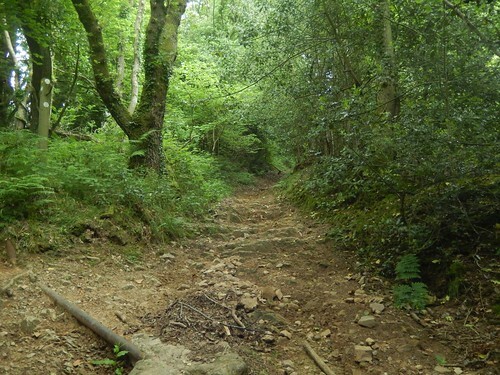 This was followed by an easy descent to a stile that leads you on to the farm drive. Further along the field, I noticed this bull and felt relieved that our paths had not crossed. As I stopped to take photos of the entire herd, they all seemed to scurry off to the other side. 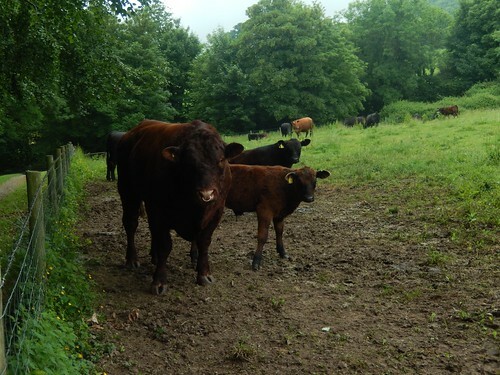 I hope there was no-one following behind me as they’d have been in for a surprise after rushing through those nettles. 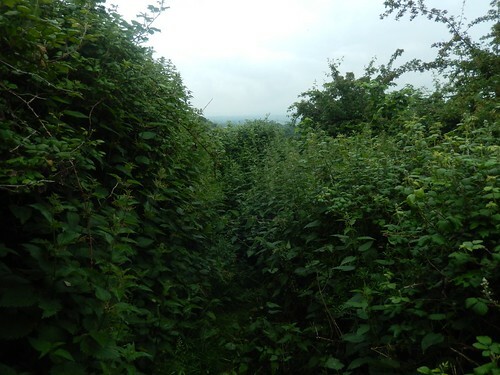 I have thought about contacting Somerset County Council to report the overgrown section but, looking at their automated response to each of my previous five reports, I’m not convinced they would get much done. Maybe I’d be better off writing to the farm owner? 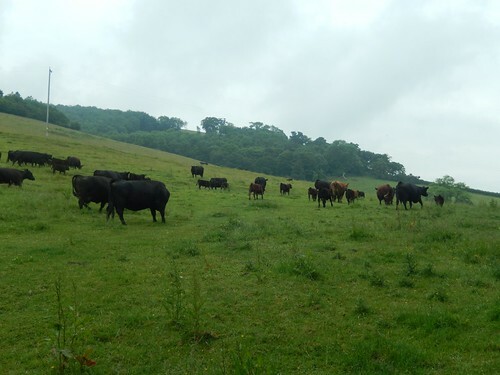 This bought me to a road at the foot of Cothelstone Hill, which I would not be climbing on this occasion. I was already familiar with the Greenway path from here and, noticing a ‘Well’ highlighted on my map, I crossed over to take the immediate path ahead of me. 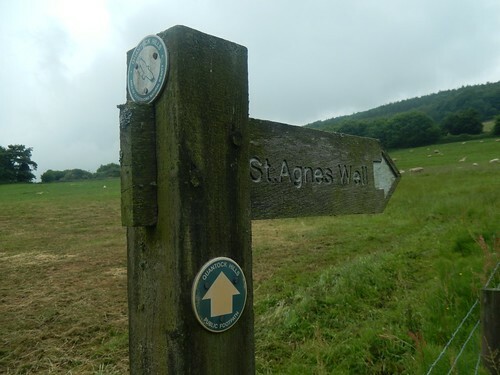 Although there’s no official right of way here on the OS map, a finger post does point you towards St. Agnes’ Well. 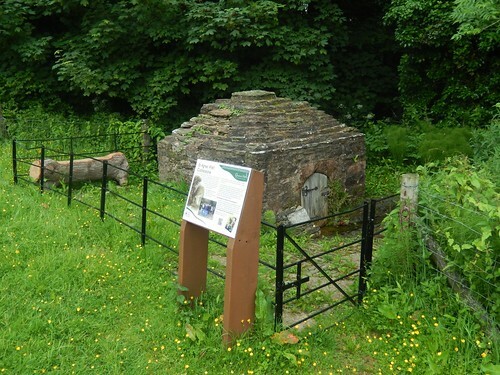 St. Agnes’ Well is an ancient well house, believed to be about six-foot in total height. 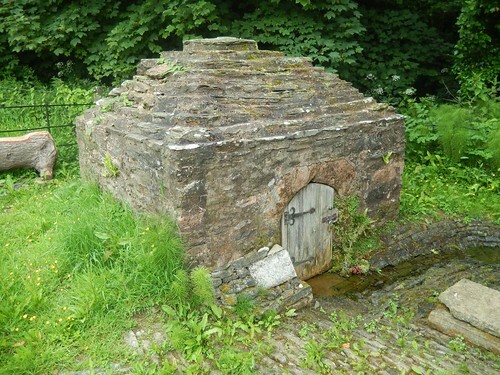 Apparently, you can find similar structures around parts of Cornwall. 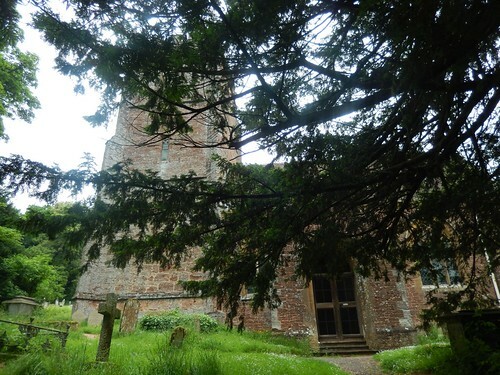 It’s a Grade II listed building and is possibly around five-hundred years old. 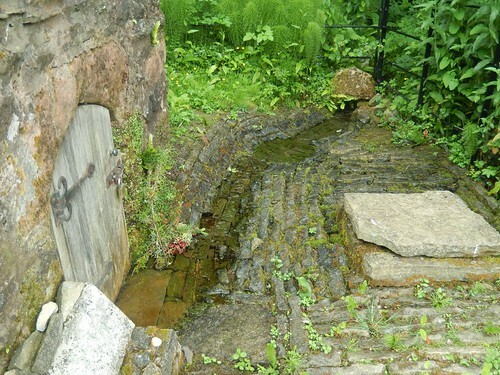 Local funding has recently helped with repairs and conservation. I’m also grateful that the landowner permits visitors to this ancient structure. A sign, installed in 2015, invites visitors to bathe their hands in the water and make a wish. 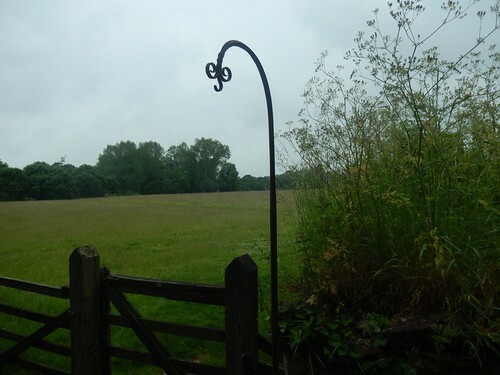 Retracing my steps towards the official right of way and I followed the fingerpost across a grassy field, with no distinct markings on the ground to follow. 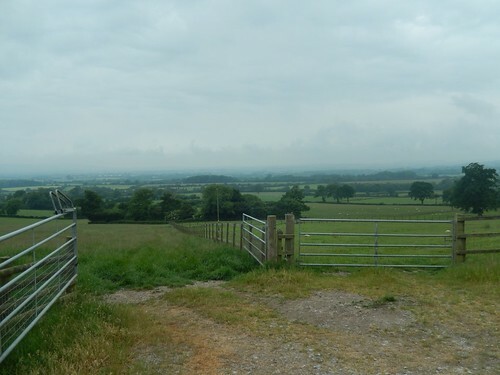 I joined the end of a farm drive (over a waymarked stile) before detouring to the churchyard but the OS map suggests you’re supposed to join the drive much sooner and follow it beside buildings. l found, what appeared to be, the only available bench beside the church and stopped to have a bite to eat and some tea from my flask. 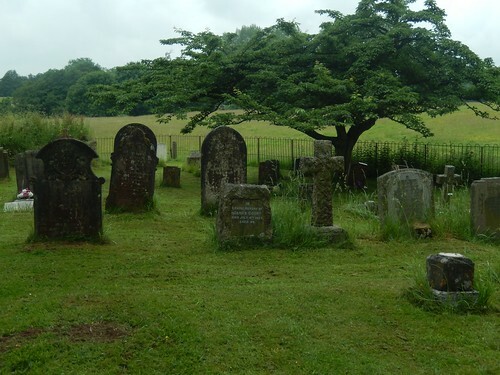 Noticing the dates on various tombstones, it looked as though the average person had been buried here almost a century ago. 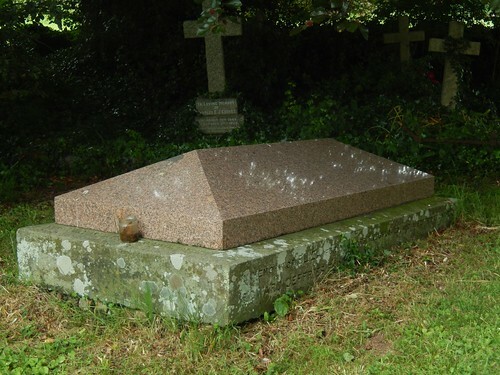 I couldn’t see any ‘modern’ graves but this one with its marble top stood out from the rest. I’m going to show my ignorance, here, because I do not know what these ‘vented blocks’ are for. 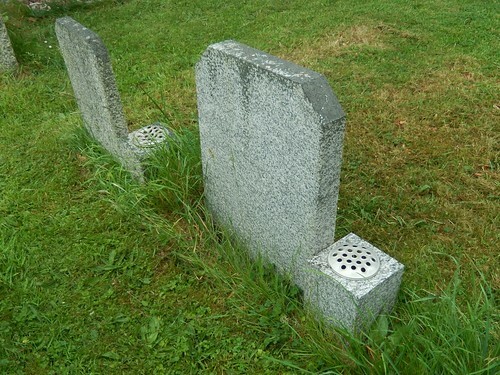 Do they allow you to speak to someone who has passed on? Or do they contain ashes? 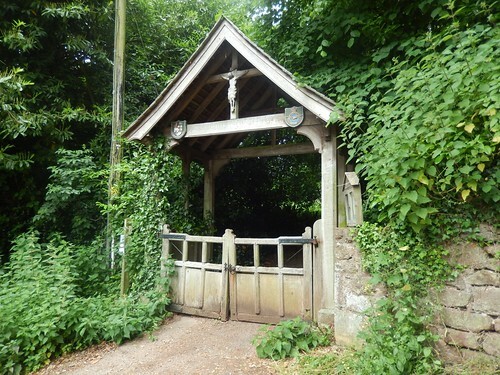 There was also a hanging point outside the main gate, where I imagined what it might’ve been like to have come here a hundred years ago one evening, with a candle or oil burning. 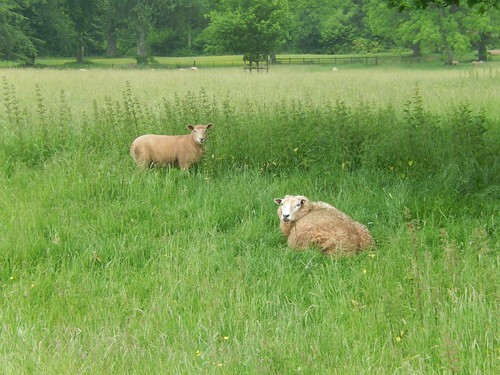 Back on the Quantock Greenway and heading across Cothelstone Park, I passed a cyclist (on a footpath) before the familiar sighting of pink sheep, that seem to be unique to this area. I would presume much of Cothelstone Park to be private. Reaching the road near Terhill, I crossed over in the hope of heading diagonally across the next field. But, the grass was long and I would probably have to follow the field boundary… So, I stuck to the road, as it was guaranteed to be easy walking. Passing beneath a bridge, I was met by a couple of drivers who’d been following their SatNav in the hope of reaching the car park to the north-east of Cothelstone Hill… Maybe two-miles away. I helped to show them exactly where they were and how to get to where they needed to be. 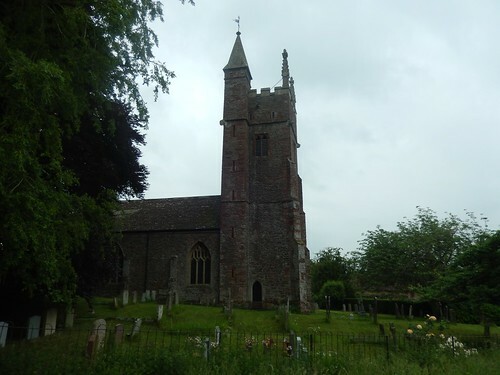 Following the roads uphill, across one field and then in to West Bagborough, I continued up to my second church of the day; still following the both the Quantock Greenway and West Dean Way. 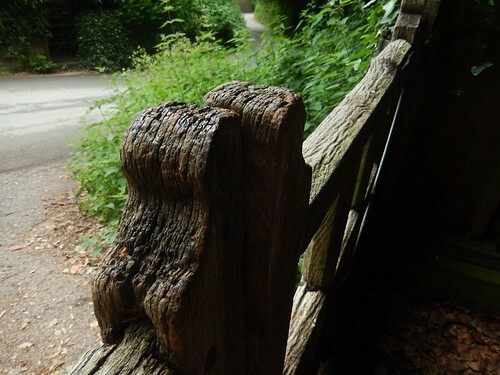 Beneath the lychgate, I enjoy running a hand over this ‘wrinkly’ wood, which could be hundreds of years old. It’s not easy to get a clear view of the church from its south side. But my walk was to continue west, in any case. 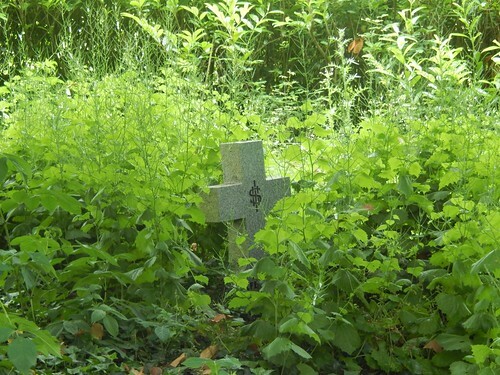 There was one tombstone I noticed, which appeared to have a dollar sign on it. 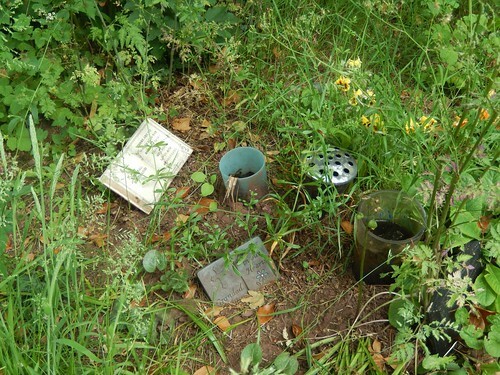 Further along, I noticed this small memorial for someone’s grandfather. Continuing west and away from the church building, you can find a short succession of benches, new and old. They overlook the fields to the south but I rarely stop here as it always seems to be brimming with flies. Further along, I absently missed my intended right-turn and instead took the West Dean Way down to the road, where it begins its return to Taunton. I had to climb a couple of roads to get back to where I’d intended to be but I soon found myself between Smokeham Farm and Rock Farm; preparing to head uphill. Steep-going from then beginning, this looked like another one of those rock-infested paths that could house a stream during winter. There’s a good one-hundred-and-fifty metres of climbing ahead but it didn’t take as long as I’d feared. At a junction early on, I spotted signs that warn of forest fires across Bagborough Hill. 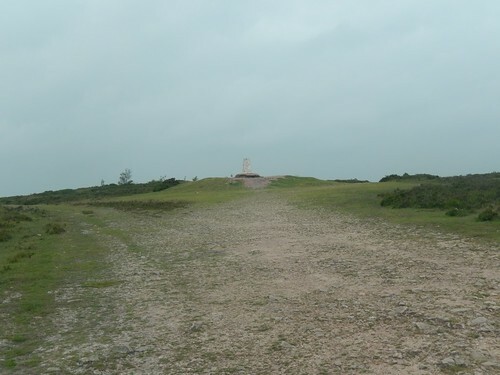 From the top and above Bagborough Plantation, I only had a short walk north-west to reach Wills Neck – with its trig point and highest point on these hills, at three-hundred-and-eighty-four metres. 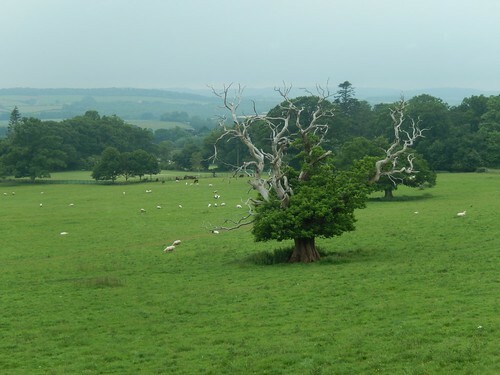 That concludes part one, where I was now more or less halfway around on my walk in the Quantocks. In the second part, we’ll get in to the details of how I came to form my return route without encountering any impassable sections.